USE ONLY if you are on a AOKP or CyanogenMod ROM that is current (Builds after October 15th) and on a rooted phone. 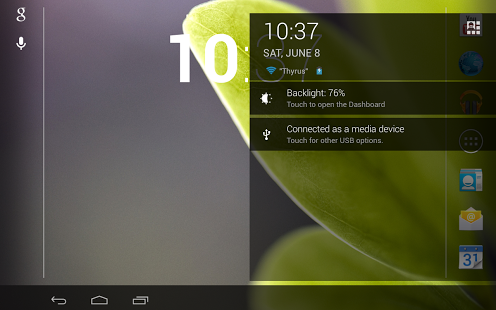 This theme enhances the already well designed JellyBean interface for JB-based ROMs that utilize the CM10 theme engine. 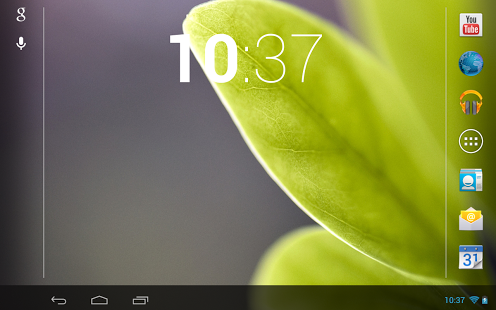 If you do not have a current CM10/AOKP-based ROM after October 10, the MMS application will not theme completely. If you use the quick response in MMS.apk, make sure you enable “dark theme” in the MMS/SMS settings. 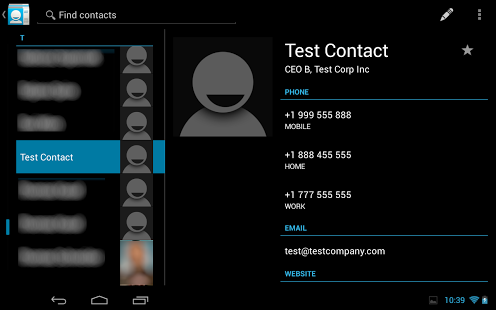 This is tested and will work on CM10 and AOKP ROMs. Custom ROMs that deviate from these such as Paranoid Android may introduce issues as these ROMs deviate strongly and some features may not support themes. – The intend of my theme is to modify, where possible, the apps that I use frequently and where Google has enforced the holo.light theme. That is the primary reason why I now have added GoogleNow, Google Play Music and Play Store as these apps now enforce the holo.light theme. – The theme engine part of many ROMS has limitations (unable to redirect when colors/images are forced by using layout.xml files and smali coding in the app). An example is the forced white background in the Email and Google Mail application when reading individual mail items, hence I will not be able to theme these and have proper and uniform appearance that satisfies my requirements without having to force users to download and install modified versions of these apps. I would recommend that, in order to have black/dark.holo styles applied to Gmail/Email/Calendar and other apps, the modified versions of these apps provided by other users be downloaded and flashed. Apply theme, then reboot. Reboot is also required after a theme update is installed. Getting”improperly compiled” error?. Set to system theme, reboot, then apply. – Removed leftovers from youtube beta testing. Sorry youtube now clean again.